Rated: G, though some explosions may frighten the smallest of children. 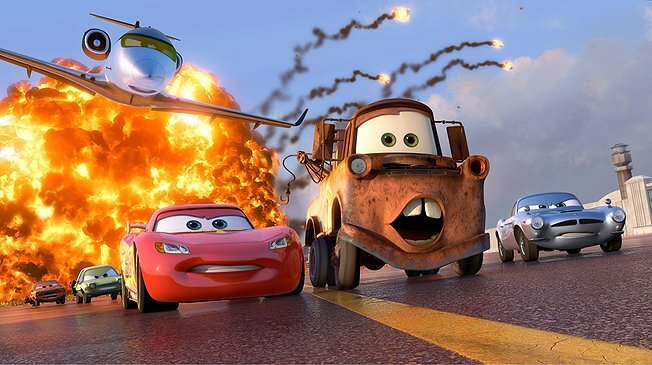 There is something unique about the Cars franchise that separates it from almost every other film in Pixar’s history. 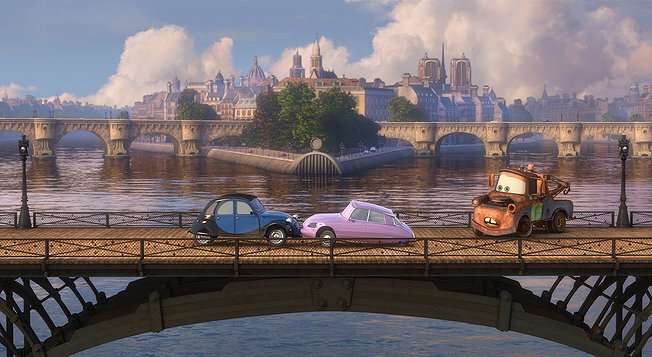 While Toy Story, Monster’s Inc., and A Bug’s Life among other present mini-universes within our own universe that we just don’t know about, Cars is a world onto its own. There are no humans turned around, unaware that their vehicle is a sentient being (that story is left to Michael Bay). Instead, the Cars live in their own alternate universe, where they eat oil and feel sick when breaking down. Would President Obama show up as a long slick limo? Cars and now its sequel, Cars 2, are also known in certain circles with distain as simply cash-cows for the Disney-Pixar brand. While Cars was the least profitable film for the animation giant at the box office, it has also made the most green in toys and merchandising. But such conversations are irrelevant, and make it too easy to attack the Pixar franchise for what is likely to be agreed upon its least successful film to date. John Lasseter, the Pixar founder and current CEO, shows a lot of admiration for the idea of Cars in his directorial style (he passed on directing Toy Story 3 to do this film, after all). And while never as transcendent as Pixar’s other films, Cars 2 zooms its way around a cleverly inspired plot to keep things moving too fast that you won’t mind. 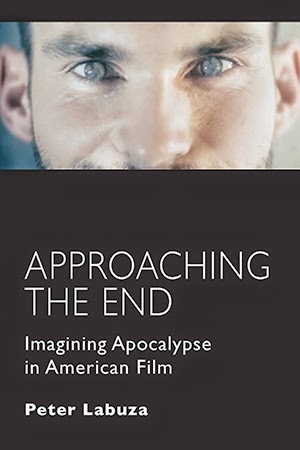 The film has one major problem at its outset unfortunately, which is a switch of protagonists from the Red-painting NASCAR Lightning McQueen (Owen Wilson) to the rusty and mindless tow truck Mater, voiced by Larry the Cable Guy. 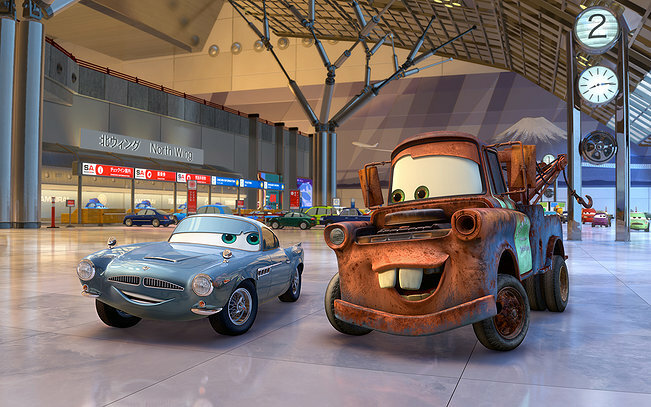 Mater played sidekick to McQueen, comic relief at the most common denominator (basically scatological humor translated for vehicles), and that pattern remains the same. The change is we are told to feel for Mater, while McQueen races around the world, sidelined to an irrelevant racing subplot. The rest of the characters from the first film, barely memorable, appear only briefly, as they are replaced with the film’s James Bond inspired universe, led by a dashing and slick British sports car named Finn McMissile, perfectly voiced by Michael Caine. 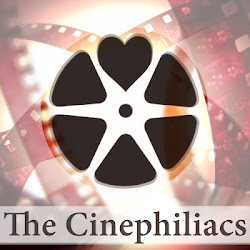 Finn is investigating a case, along with the purple colored novice spy Holley Shiftwell (Emily Mortimer) that involves a conspiracy with some ecological, go-green, subplots, a move sure to anger the Cars fan base in flyover Red states. However, it’s the care and slickness of Mr. Lasseter’s direction in these scenes that keep the narrative driving faster than the film can handle. Plot twist after twist build up, breaking tradition with the simplicity of Pixar’s usual narrative strategies, but at least keeping the film moving to keep us from asking the relevant questions about character and story. And while Mater’s main conflict, as he is pulled into the spy plot, puts his dramatic arc on such low stakes that he easily ranks among the least interesting of Pixar’s protagonists, Mr. Lasseter shows enough shine and wit in his universe to keep up the façade. Filled with visual gags (a Pope car inside the Popmobile) and exotic locations (Tokyo, Paris, among others), Mr. Lasseter is a visual stylist and once again knows how to use the camera as a storytelling tool, even when there is no actual camera. However, held back by its characters, Cars 2 never reaches the transcendence that we have come to expect from Pixar. That is hardly the fault of Pixar—it is quite clear that unlike WALL-E or Up, Cars 2 is directly aimed at children and only children. Some will see this as a cash move. I say not—the Cars franchise is aimed at children because it is simply a difficult universe for us to relate to, where the lack of humans around leaves the film’s possible commentary on how we should view ourselves in the eyes of another species impossible. The cars aren’t us, in the end, and that’s what keeps Cars 2 at arm’s length, or should I say at door’s?